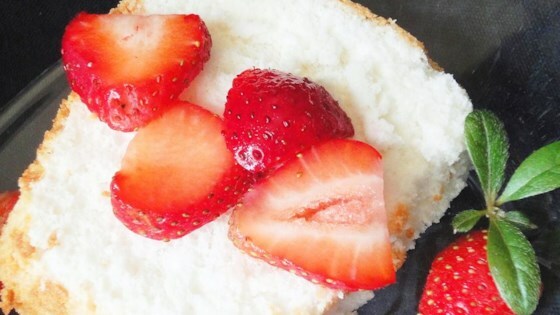 "Homemade angel food cake is worth the work. It is moist, unlike the sweet styrofoam available in the grocery bakery. A tube pan with a removable bottom is highly recommended." Never made an angel food cake before, and this is the greatest one I've ever tried. It was incredibly easy, and my whole family loved it. It's a new favorite! I baked it for the time it said and it came out really dry. I tried making it a second time, This time for less time and less sugar, and it turned out better, but still not very good.